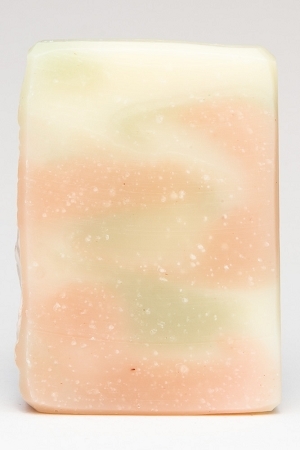 This soap is scented with clary sage and lavender essential oils. As a castille soap, it is naturally mild and can gently exfoliate the skin due to the addition of french clays. This bar's lovely marbles are created with a blend of french clays. 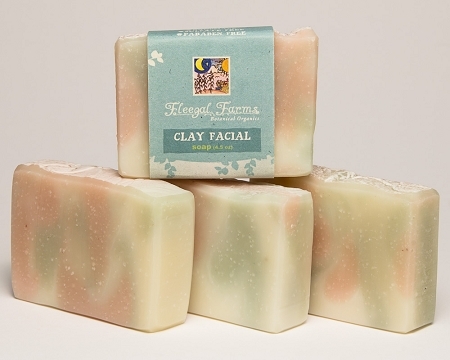 Clays have natural absorbent properties, as well as lending a very mild exfoliating touch to its lather. This gentle combination of botanical and clays help to keep pores clean and skin healthy. Excellent soap and the bars last forever.